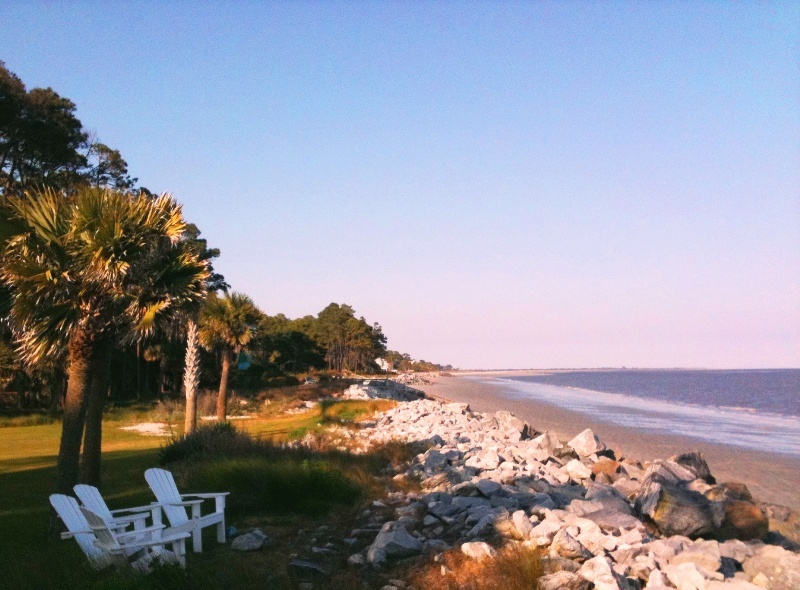 Sinners and the Sea, Theras and His Town, and My Ántonia. This is my second Read-a-thon as a reader. My first outing was a cheerleader (Oct 2011) and last fall I participated at half-speed … doing more of a ‘Read-a-5k’ than a Read-a-thon. This time, I read three books (shown above): Sinners and the Sea, by Rebecca Kanner; Theras and His Town by Caroline Dale Snedeker; and My Ántonia, by Willa Cather. I also participated in my first ‘mini-challenges’: the Book Sentence Challenge and the Share a Quote Challenge. Maybe the best part: I discovered some wonderful new book blogs and had a great time tweeting, commenting, and connecting with fellow bookworms. Oh, and did I mention, I won a prize!! A book called Villa Triste by Lucretia Grindle, so looking forward to getting that in the mail. I didn’t realize it at the time, but I did not turn on my TV during the whole Read-a-thon. Then, because Sunday was hectic catch-up (and nap!) day, I didn’t turn it on until Game of Thrones at 9 pm. So I went from Friday to Sunday night without even thinking of the TV. Most importantly, the Read-a-thon reminded me how much more I used to read. Pre-iPhone, I always had a book with me in case I had a few spare minutes—at the checkout, at the bar, in the waiting room. Now, I sometimes do, but sometimes I’m texting or emailing. I’ve lost those few extra minutes every day of reading. Need to rectify that … for mental health purposes. Another takeaway: it was soooo nice to turn of the phones and simply read for a few hours. That will be incorporated as a new weekend ritual. So thank you Dewey’s Read-a-thon for a great weekend of #booklove. bring up the bodies, unbroken atonement. Midnight Book Girl has challenged us Dewey Read-a-thoners to create a Book Sentence. Mine is more like two sentences—I wangled the punctuation—but I had fun with it. 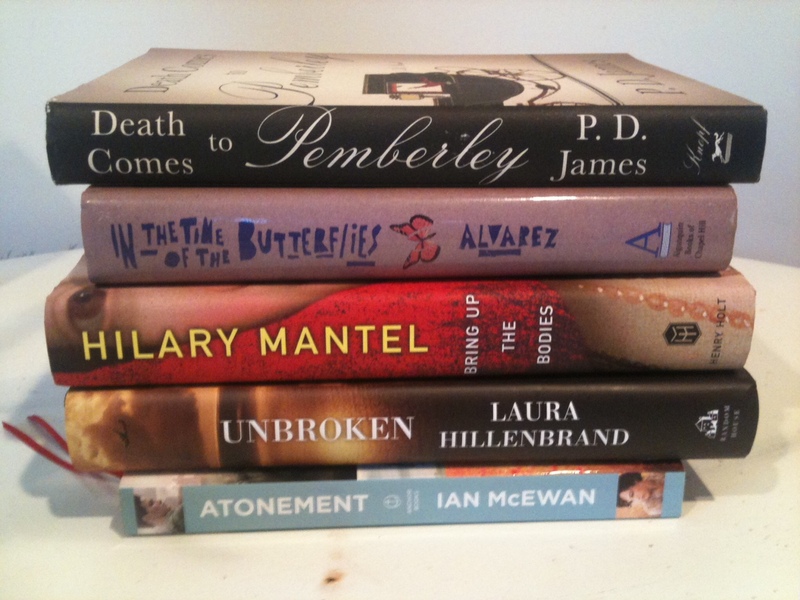 I wish I had also partaken of the Book Spine Poetry Contest—there are some great entries to browse! In all, I read three books, several spring poems (it is Poetry Month after all), and the weekend New York Times—in 24 hours. Read-a-thoners worldwide read over 5,000 books collectively! Check out my full Read-athon Wrap Up. Oh, I do love My Ántonia. After seeing my post on dogs and flowers, you may be asking, “Is she actually reading?” Yes, I am, though not at the rate of many #Readathon-ers who have racked up 5 to 10 books so far. I feel that I never have enough time to read, so I have really been trying to enjoy the Read-a-thon. Also, I got part of the NY Times Sunday paper delivered today, so I had to read a bit of that. I am closing in on book 3: My Ántonia, a favorite that I am rereading for book group. Oh, I do love Willa Cather! Off to bed with my book, more tomorrow. 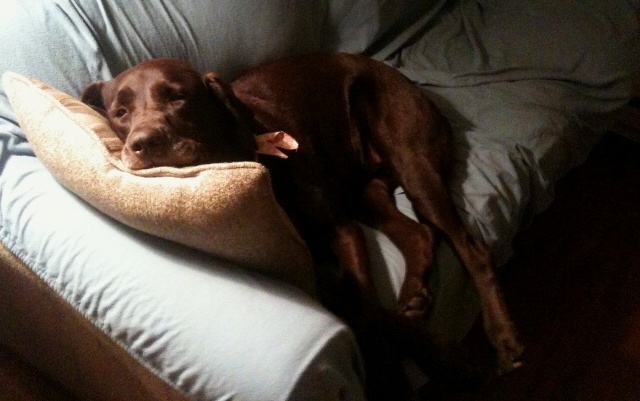 Not only did my rascally dog Baci lure me outside for walks and games of fetch, but every time we came in … she took over my reading spot on the couch! Hard to resist … but I did! It has been glorious out today. I’m not going to lie—I snuk out for a few dog walks. 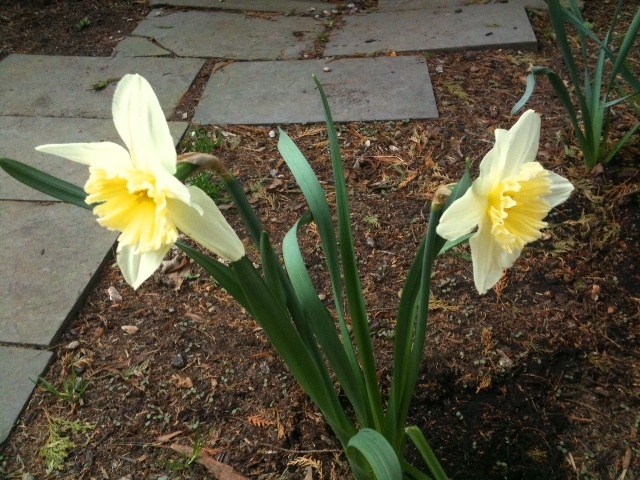 But, in keeping with Read-a-thon spirit, I first read one of my favorite spring poems, Today by Billy Collins. 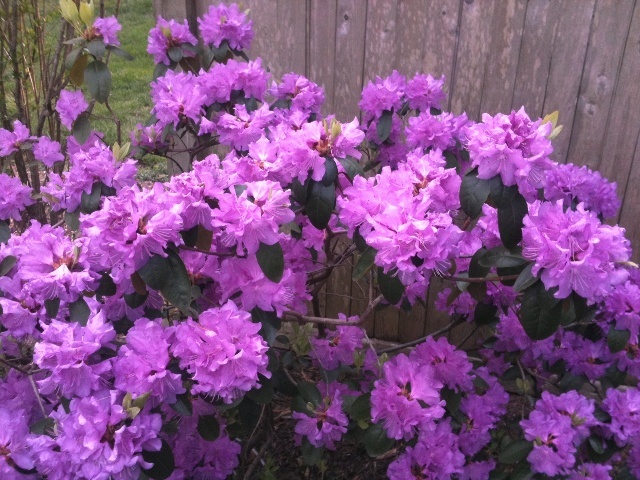 If you need a poetry break, try these lovely Spring Poems, via the Poetry Foundation. I also savored a reread of Tintern Abbey, by William Wordsworth. 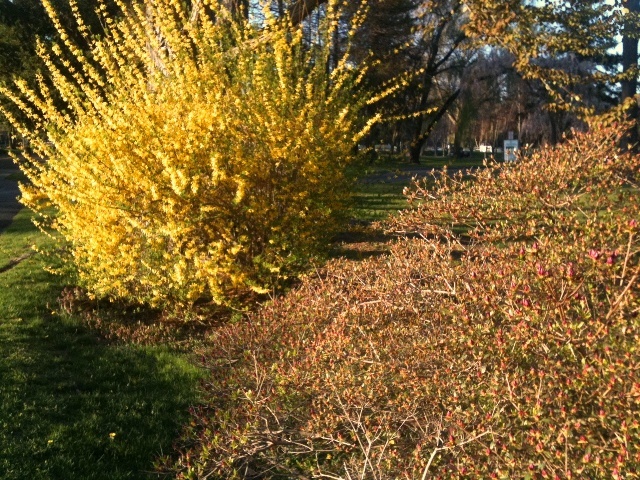 My own azalias are at their peak, but I also saw vibrant forsythias, blooming magnolias, and the last of the daffodils. 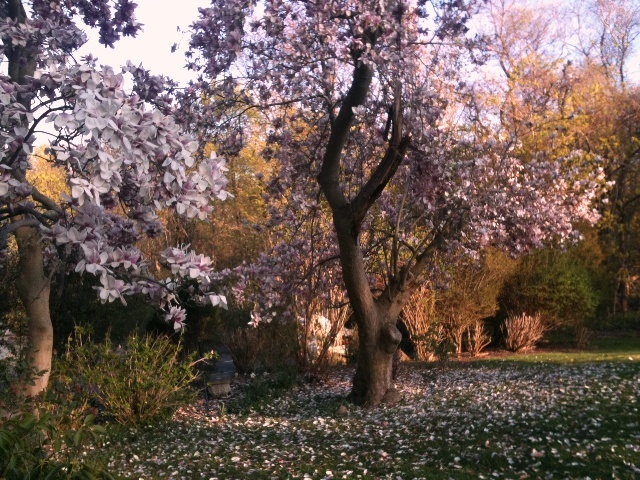 Spring in flowers and poetry. I’ve had some fun checking out all the Mini-Challenges as part of the Dewey’s Read-a-thon. Such vibrant book and readerly creativity! Check out my entry to the Book Sentence Challenge. This is a GREAT book for kids!! Educational and so much adventure. Just as I suspected, I have gone off-piste and selected a book not from my #Readathon TBR. How can you really know which book you feel like reading until you are about to start? 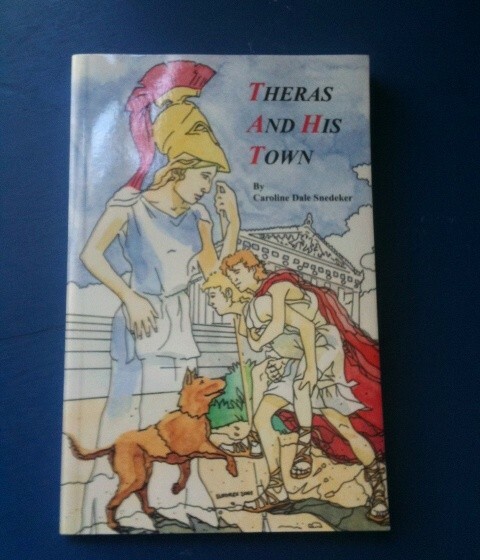 I chose a children’s classic that was one of my repeat reads as a kid, Theras and His Town, by Caroline Dale Snedeker. Also, er, I took a nap. Something about allowing yourself a day of reading is soooo relaxing! 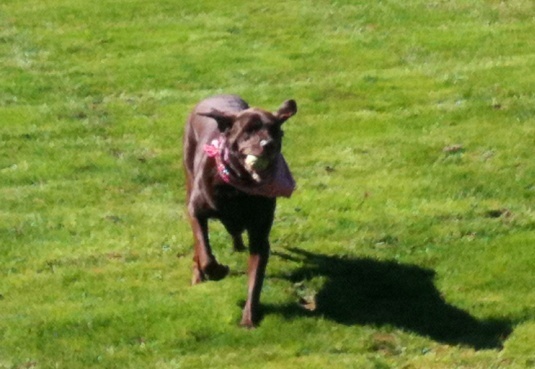 The Read-a-thon website said “Let’s Get Physical!” I took my dog Baci to the park for an intense game of fetch. She loves tennis balls the way I love books, so I couldn’t deprive her. Also, this is the nicest Saturday we’ve had this spring. Throwing is a good way to open up the muscles and stretch after a morning hunched over my book. I try not to hunch, but one does get sucked in. Yes, I get a buzz from decaf. 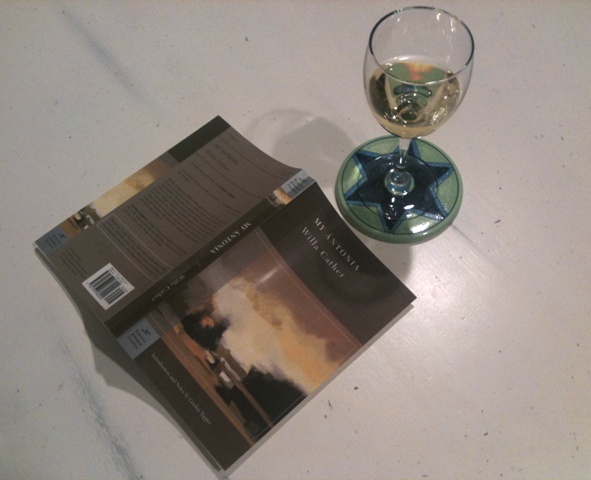 One book down–Sinners and the Sea. I’m not reading as fast as some (who have knocked off two or three), but I have been distracted by all the fun #Readathon updates on Twitter. Also, had to finally make coffee! Didn’t get to it due to pre-start dog walk and eagerness to get cracking, spine cracking that is. 9:15 am Update: Love the first book! I was so excited about the day of reading that I woke up early at 4:30 am—like on Christmas! Woke up for real at 7:17 am and feeling great after a night of dreaming about books! I’m starting with Sinners and the Sea, by Rebecca Kanner—the tale of Noah’s Ark told by his unnamed wife. I had peeked at the first few pages last night. So far I am really liking this book—lovely but spare writing and so readable! I’m on page 217 out of 337. Bookmark from Barrett Bookstore, featuring their mascot Riley, the Golden Retriever. 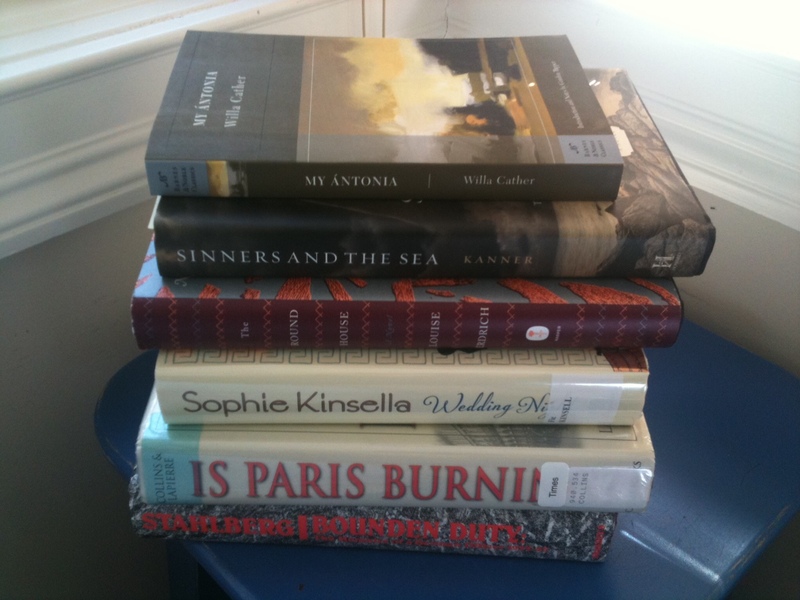 Friday Preparations: the Stack to choose from … but not limited to! independent bookstores and the public library. I’m psyched for the Dewey’s Read-a-thon tomorrow, Sat April 27. It’s not too late to sign up if you want to join more than 400 bookworms in this worldwide read-in. Dewey’s Read-a-thon starts at 8am for me, that’s Eastern Standard Time. Here’s a link to all the Read-a-thon Start Times around the globe.